Jacob Neusner (1932-2016), one of the world’s premier scholars of Jewish rabbinical texts, died earlier this month, on October 8, 2016. Neusner was the author or editor of more than 900 books for students, scholars, and general readers in Judaism, comparative religion, and the history and analysis of rabbinic texts, including the landmark, 35-volume The Talmud of the Land of Israel, published by the University of Chicago Press. 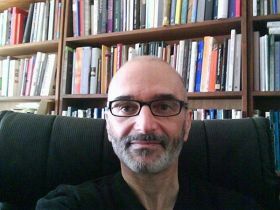 Among those institutions he taught at during his distinguished academic career were Dartmouth College, Brown University, the University of South Florida, and Bard College. Below follow some remembrances of Nesuner’s life and works. 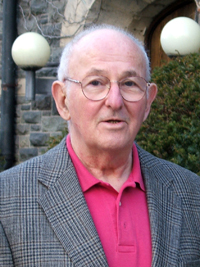 From Aaron Hughes for the American Academy of Religion: Jacob Neusner was born to Samuel and Lee Neusner on July 12, 1932, in West Hartford, Connecticut. His father owned the Connecticut Jewish Ledger, a Jewish weekly that continues to serve the Connecticut region and western Massachusetts. The young Neusner received his first typewriter at age twelve and, by his junior year in high school, could do all the jobs associated with a newspaper. From a young age he could write both quickly and to make deadlines. Neusner grew up attending public school as opposed to Jewish day school, and his values . . .
From a New York Times “Letter of Recommendation” piece on the late Marshall Hodgson (1922–68) and his three-volume collection, The Venture of Islam, by Millions editor Lydia Kiesling: One of these was Marshall Hodgson, a great American scholar of Islam who died in 1968 while jogging on the University of Chicago campus. He was 46, and he left behind a manuscript that would become a magisterial three-volume book, “The Venture of Islam,” published posthumously through the efforts of his widow and colleagues. 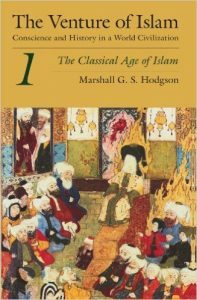 Before “The Venture,” there was no English-language textbook, no unified history, about the many linked empires that emerged out of the revelation received by the Prophet Muhammad in 610 A.D. Before 1957, when Hodgson founded his yearlong course on Islamic civilizations at Chicago, there was no course like it. Islamic studies in America was an outgrowth of European Orientalist thought, which focused on Arabic language and literature and the core Arab lands of Islam. Persianate and Turkic dynasties were considered backwaters: Persians were important for their pre-Islamic achievements, Ottomans for their role in European diplomatic history. Sufism — the vast mystical current of Islam — was a blip in European and American historiography. A roughly 500-year period was glossed as a time . 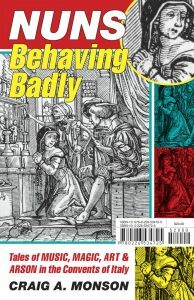 . .
Our free e-book for October is Craig A. Monson’s Nuns Behaving Badly: Tales of Music, Magic, Art, and Arson in the Convents of Italy. Download your copy here. Witchcraft. Arson. Going AWOL. Some nuns in sixteenth- and seventeenth-century Italy strayed far from the paradigms of monastic life. Cloistered in convents, subjected to stifling hierarchy, repressed, and occasionally persecuted by their male superiors, these women circumvented authority in sometimes extraordinary ways. But tales of their transgressions have long been buried in the Vatican Secret Archive. That is, until now. In Nuns Behaving Badly, Craig A. Monson resurrects forgotten tales and restores to life the long-silent voices of these cloistered heroines. Here we meet nuns who dared speak out about physical assault and sexual impropriety (some real, some imagined). Others were only guilty of misjudgment or defacing valuable artwork that offended their sensibilities. But what unites the women and their stories is the challenges they faced: these were women trying to find their way within the Catholicism of their day and through the strict limits it imposed on them. Monson introduces us to women who were occasionally desperate to flee cloistered life, as when an entire community conspired to torch their convent . . .
Introduction An excerpt from The Territories of Science and Religion by Peter Harrison *** The History of “Religion” In the section of his monumental Summa theologiae that is devoted to a discussion of the virtues of justice and prudence, the thirteenth-century Dominican priest Thomas Aquinas (122–74) investigates, in his characteristically methodical and insightful way, the nature of religion. Along with North African Church Father Augustine of Hippo (354–430), Aquinas is probably the most influential Christian writer outside of the biblical authors. From the outset it is clear that for Aquinas religion (religio) is a virtue—not, incidentally, one of the preeminent theological virtues, but nonetheless an important moral virtue related to justice. He explains that in its primary sense religiorefers to interior acts of devotion and prayer, and that this interior dimension is more important than any outward expressions of this virtue. Aquinas acknowledges that a range of outward behaviors are associated with religio—vows, tithes, offerings, and so on—but he regards these as secondary. As I think is immediately obvious, this notion of religion is rather different from the one with which we are now familiar. There is no sense in which religio refers to systems of propositional beliefs, and no sense of . . . The impossibility of religious freedom by Winnifred Fallers Sullivan In the last week the US Supreme Court has decided two religious freedom cases (Burwell v. Hobby Lobby and Wheaton College v. Burwell) in favor of conservative Christian plaintiffs seeking exemptions from the contraceptive coverage mandate of the Affordable Care Act. Liberals have gone nuts, wildly predicting the end of the world as we know it. While I share their distress about the effects of these decisions on women, I want to talk about religion. I believe that it is time for some serious self-reflection on the part of liberals. To the extent that these decisions are about religion (and there are certainly other reasons to criticize the reasoning in these opinions), they reveal the rotten core at the heart of all religious freedom laws. The positions of both liberals and conservatives are affected by this rottenness but I speak here to liberals. You cannot both celebrate religious freedom and deny it to those whose religion you don’t like. Human history supports the idea that religion, small “r” religion, is a nearly ubiquitous and perhaps necessary part of human culture. Big “R” Religion, on the other hand, the Religion that is protected . . . 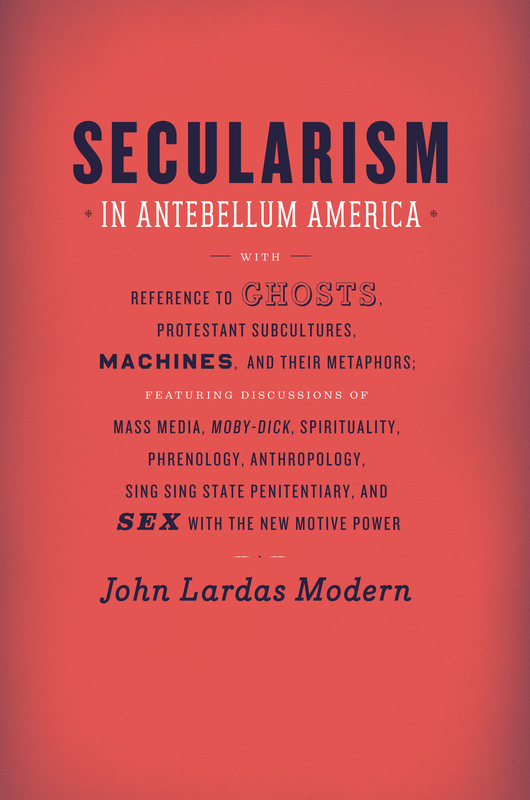 When it comes to American religious history, few books have caused as much debate as John Lardas Modern’s Secularism in Antebellum America. 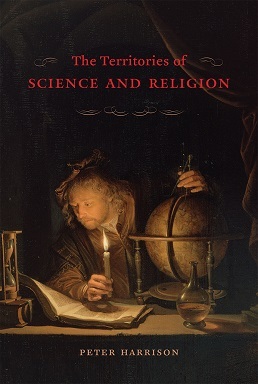 In the book, Modern uncovers surprising connections between secular ideology and the rise of new technologies that opened up new ways of being religious in the nineteenth century, and he challenges the strict separation between the religious and the secular that remains integral to the discussions of religion we engage in today. The Immanent Frame describes the debate thusly: Modern’s understanding of secularism and his argument that mid-nineteenth century American religious movements are in some sense responsible for the secularizing ethos which the majority of them opposed. From Modern’s perspective secularization represents not the separation of the religious from the profane but the opportunity for religion to discover within the secular its true meaning. 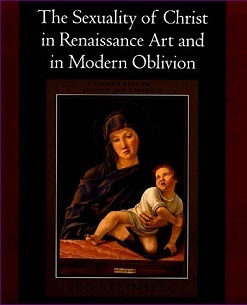 Religion thus confronts modernity not by disappearing but inventing modern figures to adapt to the novelty of the technological age, and to redefine itself. Perhaps Modern’s most compelling example of these claims is mid-nineteenth century American evangelicalism—specifically its reliance on modern media and technologies. At last fall’s American Academy of Religion conference, the book was the subject of a panel that saw each scholar responding to a specific chapter. . . . Saddened today to note the passing of Andrew M. Greeley (1928–2013)—priest, sociologist, journalist, prolific critic, novelist, and philanthropist. Father Greeley (his preferred moniker) was a priest’s priest—while at the same time an ardent and impassioned critic of established Catholic authority. His writings spanned academic treaties—ecumenical and secular, ethnographic and sociological—weekly newspaper columns, literary potboilers, and vehemently outspoken diatribes against the hypocrisy of the Church in which he was ordained. 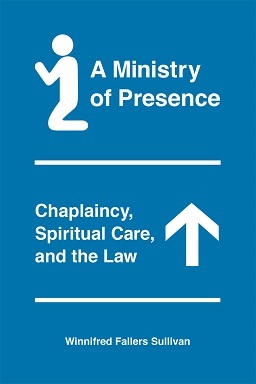 Among these, the University of Chicago Press was fortunate to publish two works, Priests: A Calling in Crisis (2004) and The Truth about Conservative Christians: What They Think and What They Believe (coauthored with Michael Hout; 2006). A longtime affiliate of the National Opinion Research Center at the University of Chicago, Greeley also gifted the school with a 1.25 million dollar endowment in 1984 (despite three denials of his own tenure while a professor), which was formerly used to endow a chair of Catholic studies. “I’m a priest, pure and simple,” he once said, “albeit a priest with a condo in the John Hancock Building and a home in Arizona.” Chicago Sun-Times obituary New York Times obituary . 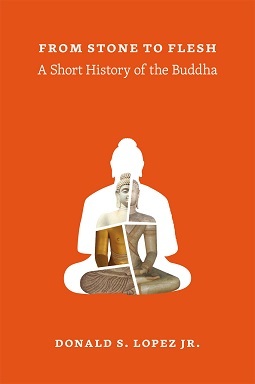 . .
Before We Loved the Buddha by Donald S. Lopez, Jr.
Before We Loved the Buddha by Donald S. Lopez, Jr. *** According to a famous Chinese legend, in 60 CE (or thereabout), the Emperor Ming of China had a dream. He dreamed that he saw a golden man flying through the sky, rays of light streaming from his head. The next day, he summoned his ministers to interpret the dream. They told him that the golden man was a sage from the west called the Buddha. The emperor immediately dispatched a delegation to find this sage. After a long journey, they returned with a scripture and a statue. And this is how Buddhism first came to China. In 1603, the famous Catholic missionary to China, Matteo Ricci, published a book, in Chinese, in which he explained that the golden man the emperor saw in his dream was not the Buddha; he was Jesus. If the emperor’s envoys had gone farther west, they would have arrived in the Holy Land, and would have returned with the Gospels. Bringing Buddhism to China had all been a terrible mistake. Among the “founders” of the world religions—Abraham, the Buddha, Jesus, Muhammad—perhaps the best loved (or at least the best liked) is the Buddha. He . . .
Just prior to the Labor Day holiday, Eric L. Santner, Press author and Philip and Ida Romberg Professor of Modern Germanic Studies at the University of Chicago, was in touch with some compelling observations on recent debates over taxation; the Republican penchant for religious thinking; and controversies over purity, job creation, and other new spirits of capitalism. Santner’s most recent book The Royal Remains: The People’s Two Bodies and the Endgames of Sovereignty (reviewed here at Bookslut) indeed touches upon the foundation of these issues, often in pursuit of the vital metaphor of the king’s lost body, throughout the difficult transition from subjecthood to secularity in the psyches of democratic societies. Read Santner’s essay in full below: The New Idolatry: Religious Thinking in the Un-Commonwealth of America At a recent debate among Republican presidential candidates in Iowa, all participants raised their hand when asked whether they would oppose a deficit-reduction agreement that featured 10 dollars in budget cuts for every dollar in increased tax revenue. I think one misses something important if one dismisses this moment as a bit of cynical political theater. But it is equally insufficient to see in it a display of genuine political commitments and principles. . . .